Vanguard Properties consistently ranks among San Francisco’s top brokerages. In San Francisco 2017 we were the market leaders in the market share of total units listed at 14.9% and at 8.4%, are one of the top 2 brokerages in total sales volume in the City. 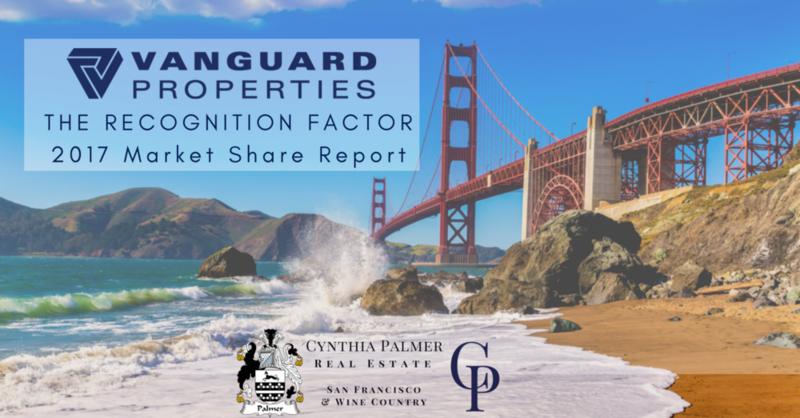 Once again Vanguard Properties is the leading real estate brokerage in San Francisco’s District 5 with the highest market share of 13.1%. Once again Vanguard Properties is the leading real estate brokerage in San Francisco’s District 6 with the top 13.2% share of the market. Vanguard Properties continues as one of the top 3 real estate brokerages in San Francisco’s District 9, commanding 10.9% of the market. As a market leader, clients come to us for our unsurpassed marketing expertise, strategy and style to get the most exposure and maximum value for their homes. *Data by BrokerMetrics 1/1/2017 – 12/31/2017for single family homes, condominiums, TICs, multi-unit (2-4), and mixed use, listed in San Francisco by Brokerage.